It is very easy. At main screen, please tap to the Camera icon to start scanning. I am facing with camera issues. What should I do? Please open app setting, there is an option so that you can use the system camera of your phone. What is batch scan? How can I use it? At camera screen, please switch to batch mode. Using batch scan, you are able to capture multiple pictures and process at a same time. Why my scans are always on Black and White? At adjust contrast screen (after cropping picture), please tap to button at bottom bar to change scan mode (color, photo, grayscale and BW). I want to re-download? Do I need to pay again? No. Please use the same Google Play (or App Store) account to download. In case you bought on Play Store and you want to re-download on App Store. 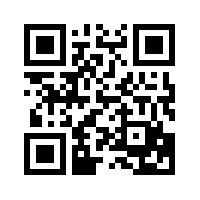 Please contact us, we will give you promo code. How can I fax my scans? Fast Scanner send your faxes via Easy Fax app (another app of CoolMobileSolution). Please select the document, select action button, select "Send Fax". How to migrate data to new device? For iOS version, please open Setting, backup data to iCloud and restore on your new device. 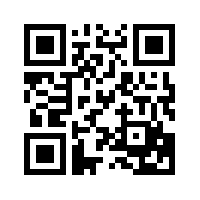 For Android version, please backup data to file and restore backup file on new device. Great quality! Easy to use. Docs are easy to create and share. Love it! Sure, has annoying ads, but I signed up for the free one. I recomnend! 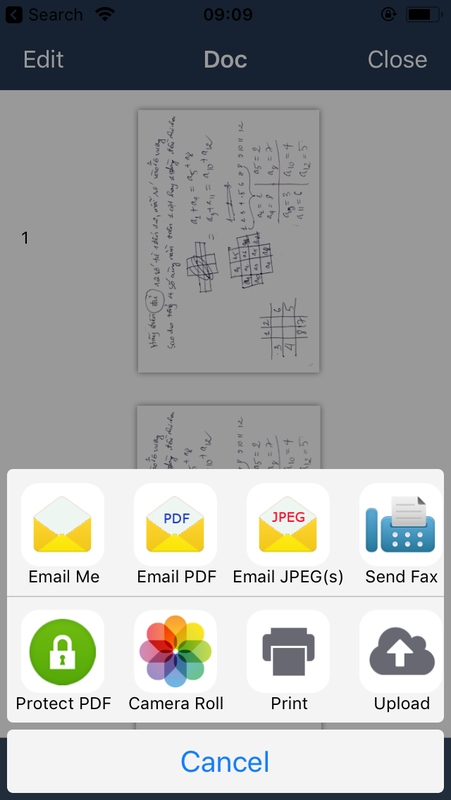 My scanner broke and I had 16 pages of homework to scan in and luckily, this nice FREE app saved me. 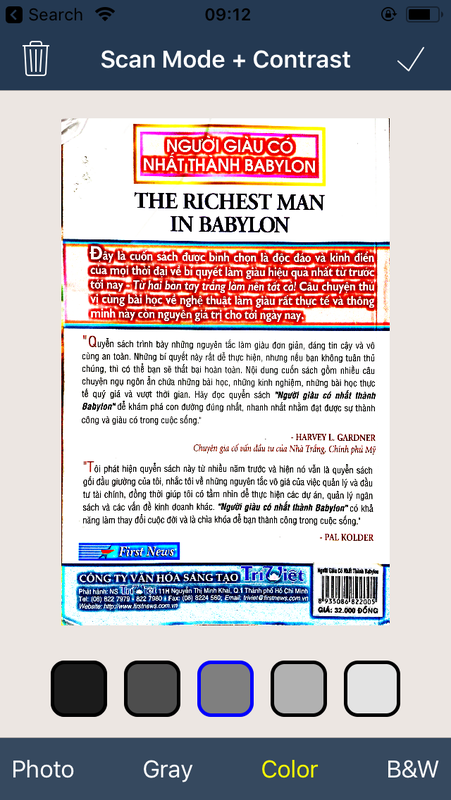 It's easy to use and put all my scans into 1 pdf file automatically which is what I needed. Best and most simple scanner app. I've tried google's and adobe's scanners. they are good too but a bit laggy and complicated. This app surpasses them all. Easy to use! The image quality is very good! 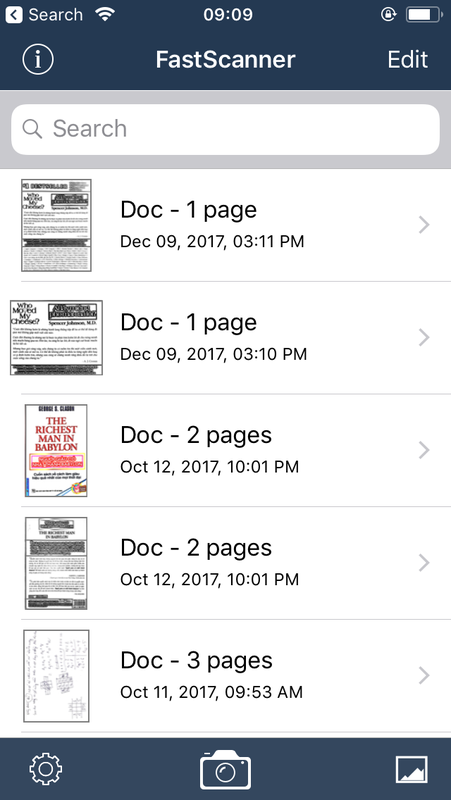 I use the app to scan various documents (receipts, school documents, etc.) since I want to go paperless. It automatically saved in the cloud. Will purchase the paid version.